Thank you for visiting this page, you are very welcome. In 2001, my husband Alan and I bought a small house in the back streets of Kritsa, a hillside village in the east of Crete. Our breath-taking view looks out across cluttered rooftops, a huge church, olive groves, and the distant sea, all framed by the Thripti Mountains. Of course, at that time, our thoughts went no further than a few weeks holiday per year, with a vague hope that ‘one day’ we might spend more time in Crete. We never imagined just how life changing our decision would be. Shortly after this, my job became redundant so I decided to use short-term Human Resources (HR) contracts to fund long breaks in the sun. This extra time in Crete provided opportunity to explore the countryside, legends, and customs to gain inspiration for creative writing. As a regular contributor to Crete related forums, I finally decided time was right to tackle a novel. Luckily for me, this coincided with the opportunity to watch a fellow Kritsa resident, the English sculptor Nigel Ratcliffe, work on his beautiful stone monument dedicated to ‘Kritsotopoula, Girl of Kritsa. 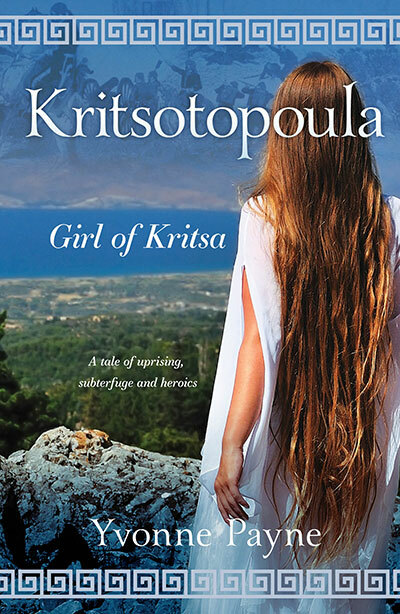 Along with her rebel comrades, Kritsotopoula fought against Ottoman oppression in 1823. This carving became my ‘muse’ as I researched and wrote my first novel. In 2014, we took another life enhancing decision, and I gave up contracting to allow us to split life between both countries. Although it is lovely to spend time with family and friends in the UK, it is while we are in Kritsa that we enjoy a real sense of community. Let me know if you have questions about buying property in Crete, life as an ex pat, visiting and exploring the east of the island. I even know where to buy Marmite! I hope this site will allow me to share my love of Crete, and I look forward to hearing from you. What a lovely blog💙 I worked in Ag Nik way back in 1979, when our weekly ‘Greek Night’ was held in Kritsa! Hi, Gill, great to meet you here. I love the sound of weekly Greek nights in Kritsa. Lack of buses and the advent of all inclusive holidays have greatly reduced the number of people who visit Kritsa in the evenings. We used to visit Crete a lot from about 1995 when we chose with another couple to stay in Sissi for two weeks. After that we went either with friends or ourselves to Elounda and Paleochora, but spent most years in Sissi. We of course hired a car each time and travelled all over the island. It’s such a diverse island with greenery in the West and sunbleached East. Our last trip was in 2008 to you guessed it, Sissi. One day we’ll get back there and once again sit by the sea watching the waves lap the rocky shore, or go to Neapoli for a cuppa in the square. I am retiring next year and i am looking for a reasonable priced long term rental in the Kalives,Ghania area. I have visited Crete many times staying in Kalives. 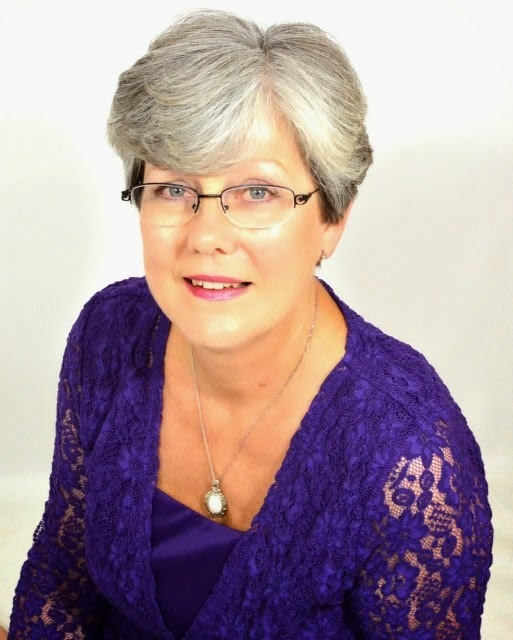 Thank you Yvonne for visiting my blog today. I so much appreciated your presence. I love your blog and will take some time to read what you have and share my ideas in comments. I will purchase your book since I really want to read it, I don’t want to miss it. Thank you for sharing everything. Have a great weekend! I’m Olga from Russia. It’s great to find your blog and learn something more about Critsa. Two years ago I was in Agios Nicolaos, it was wonderful. This year I am going to Critsa and booked the apartment here. It’d be interesting to read your book. I know TJ Paris and Christine Robinson. I met you at Danny Ray’s Meet and Greet. You sounded like you wanted to meet new people since you said you would visit everyone at his blogging event, so I came over. Maybe you will check out my site if you could use a blogging tip or two. That’s what I blog about. I am also having my own blog party this weekend. I would love it if you came. Hope you`e enjoying your stay in Kritsa Yvonne ! Happy to say that I`ve just finished your delightful book. Although I`d rather not have to use the reason that a rotten cold confined me to the settee for two days, it did, in fact, give me the opportunity to read the book without feeling guilty about the other five thousand jobs which awaited me. Plus I had the added advantage that the tears which sprung to my eyes at the last sad ending, could be safely disguised by the piles of tissue paper strewn around me on the settee. It was, a wonderfully touching, well researched book, a delight to read, and being set around my home area of Lassithi made it even more special. There`s so little I know about the terrible rule of the Turks, but only know the deep dislike many Cretans have for them, speaks volumes. I can`t help feel that a sequel would be well received. Sorry to hear you’ve been unwell, Amanda. I’m pleased it gave some ‘you’ time for reading and I’m delighted with your lovely comments. It is fabulous to know you cried at the end, I did when I wrote it even though knew what was coming! This is so exciting! Happy 2016! I am looking forward to sharing your explorations. I would love to see Greece on of these days. Matt and I have become….. I must visit Crete. I thought so before, but I believe it now! Interesting blog! My stepson and his wife live on Crete so this was interesting. I hope to pick up your book soon as so comments on here were very positive. Holidaying in Crete at the moment and was watching the Cypriot TV channel RIK, when up pops Kritsa and one of your local restaurants. The whole programme was on what the owner cooks and how she cooks it! Hi Yvonne, It was nice to meet you in Elounda, have thoroughly enjoyed your book. You have woven a story around folk tale and you can’t tell the difference absolutely wonderful. Can’t wait to read the next book. If you can cast you magic on the story of the Milatos Caves it would be interesting. Ah, but I thought I would get bored, so I do understand. However, by living a dual life we find we’ve never quite done everything we intended while in the UK or Crete and so have a continuous to do list. Please keep in touch as I’m nosy so will enjoy knowing where you get to in Crete. Meanwhile, thank you for your comment here. Hi Yvonne, your book is on my wishlist! Hi. It looks a beautiful place. No wonder you want to spend more time there.I look forward to exploring more of your blog and finding out about your novel. I have always wanted to travel, and Greece is on my list. I found your links page helpful. How exciting! My father worked for Disney and they built Euro Disney in France we were sent to live in Paris for a year. It was amazing. I wish traveling abroad wasn’t so expensive. Everybody should get to go to another country and see different cultures. I look forward to hearing about your travels.